Literary studies loves self-interrogation. Usually we find ourselves wanting, and we are enjoined to return to some prior virtue: a politics of leftist solidarity, an unadorned engagement with the literary text, or a willingness to grapple with the desolate landscapes of the neoliberal present or the climatologically catastrophic future. Like many other English professors, I gobble this stuff up with a slightly guilty appetite. Joseph North’s engaging re-conception of twentieth-century literary criticism is very much of the “road not taken” variety of critique. He reads the massive growth of historicist literary “scholarship” as a rejection of its earlier rival mode, “criticism,” which aimed to speak more broadly to non-academic readers and social and pedagogical concerns. He does not minimize the cultural conservatism and at times racism of New Critics on both sides of the Atlantic, but he finds in some of these authors, especially I. A. Richards, an admirable breath of focus and ambition. North’s critical touch is often light, and he writes admiringly about major figures in the “historicist/contextualist paradigm.” Some of his examples, however, including an analysis of Franco Moretti’s aggressive turn away from “aesthetic education” in favor of “the production of cultural and historical knowledge for an audience of specialists,” read more sinisterly now that Moretti’s record of sexual predation has come to light. What gets hidden when scholarship becomes essentially a private enterprise available only to initiates? North spends the final hundred pages of his book trying make sense of what he terms “a long collective attempt to break out of the narrow confines of contextualism as usual.” Thinking about trends from new aestheticisms to global literary studies to the environmental humanities, North gestures toward “a newly materialist conception of the aesthetic value of the literary.” North combines these trends in academic scholarship with the rise of para-academic publications such as N + 1 and Public Books as evidence of an emerging “positive ‘presentism’” that may herald a pendular swing back to a better version of the broader ambitions and audiences imagined by the criticism of the early twentieth century. It’s a compelling vision, and one worth working to build. Civilization, perhaps, was never all that great an idea. James Scott’s synthesis of recent archeological and historical research on the earliest agricultural states in Mesopotamia upends the old narrative of the triumphant rise of urbanization and the city. 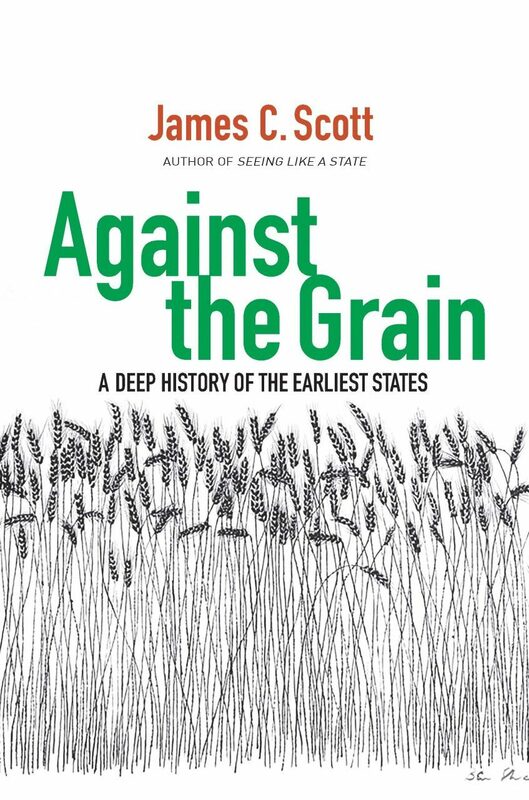 In Scott’s telling, the key developments in early human history were all forms of domestication: first of fire in the depths of prehistory 400,000 years ago, later of plants and animals in the mostly pre-state Neolithic period, and eventually of humans ourselves through the development of the “grain states” which provide us with our first records of civilization. These states’ essential tools, including agriculture and the city, facilitated control by elites of lower-status individuals. City life and agricultural production incubated infectious diseases that had not previously plagued hunter-gatherers, so that early states saw reduced health and increased mortality alongside the rising rate of reproduction necessary to provide the labor to support the system. It’s a grim vision in which today’s bugbear of environmental pressure plays a powerful role: “Climate change…by forcing a kind of urbanization…intensified the grain-and-manpower modules that were ideal for state formation.” Written language, too, emerged as a “technique of statecraft” used to support the domestication of humans by humans. Scott’s closing suggestion that the coercive state did not really encompass the lives of most humans until after around 1600 CE implies that ways of living beyond the state are imaginable and even historical. One wonders if his “Golden Age of the Barbarians” might come to have renewed purchase in our own century, as the environmental pressures that motivated ancient state formation threaten to erode the boundaries and systems of control those states have erected. In my little corner of Long Island Sound in coastal Connecticut, sea level rise isn’t a theoretical question anymore. We’re not as wet as the neighborhoods of Miami Beach that Jeff Goodell describes in this lively and disturbing book, but the road down the hill from my house now floods each month on the highest tides, and we’ve had two “hundred-year storms” that inundated houses and floated away parked cars in the last six years. The question of how (and whether) to rebuild in the face of a wetter future faces our neighbors and our local planning and zoning boards, as well as readers of books like this one. The water’s rising. What should we do? Goodell’s book tours vulnerable coastlines from South Florida to the Jersey Shore to Norfolk, VA, exposing tales of real estate speculation and a growing American fantasy beach culture that’s now at risk. He writes engagingly about responses to flooding in the Netherlands and in areas such as the Makoko neighborhood in Lagos, Nigeria, where houses are built on stilts above toxic water and can be moved quickly during flood times. In a resonant statement, Goodell’s host in Makoko tells him, “I am not afraid of water. I am afraid of our government.” Nimble but impoverished water-living tends to fall afoul of the heavy hand of the Nigerian state, which has repeatedly cleared and burned these kinds of settlements. By contrast, the elite development of Eko Atlantic, also in Lagos, proposes to hide wealthy residents behind a sea wall. It’s not clear how Makoko’s model of wet living will interact with Eko Atlantic’s systems of defense, but coastal communities throughout the world will be testing elements of both models in the years to come.